MARCH 2007 -- Since 2002, 538 Granges in 33 states have contributed a total of 239,543 dictionaries to third-graders. The 2006 total was 73,882, a slight decline from 2004 and 2005. This easy to execute program has really caught on with Granges across the country. The program has generated community outreach and image building for hundreds of Granges. Here is all a Grange has to do to execute the program. 1 Contact your local school principal and superintendent and tell them about the program. 2 Find out the number of third grade students in the schools your want to cover and develop a budget for the program. Dictionaries will run around $1.45 each. 3 Once you have the funding, contact the Dictionary Project by calling 843-856-2706 or 843-388-8375 or by visiting their Web site: www.dictionaryproject.org. 4 After the dictionaries arrive place a Grange label on the inside of the front cover. 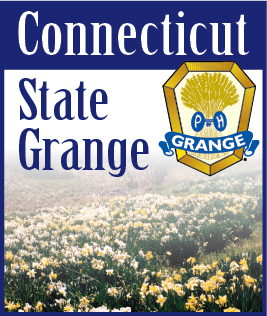 A label template can be downloaded from the National Grange Web site at www.nationalgrange.org. 5 Set up a date for delivery with the school or schools. 6 Let the local press know about the event. 7 Have fun presenting the dictionaries, some of which contain the longest word in the English language and other interesting features. 8 Send any articles or pictures to the National Grange and the Dictionary Project so we can share them with others on our Web sites.